For those who are yet to know what to expect, we've got two words for you. Stay Smart! That's convenient, without the cumbersome. Thoughtful, without the theorem. Optimum, without officialdom. Completely practical, totally logical, full-on fundamental. Smart, well-thought-through facilities at a 'value' pricing. Comfortingly welcoming, warm, modern, simple, yet stylish. 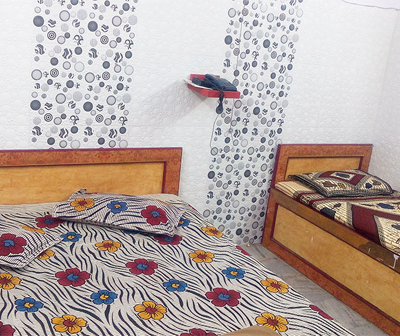 Hotel Raahat Palace is committed for its luxurious accommodation at affordable price. We offer world class hospitality and personalized services to tourists and corporate guests. The spacious and luxury rooms and suites in this standard hotel equipped with all the modern facilities, will bliss you to a world of subtle elegance, ambience and enjoyable experience. The most striking feature of our hotel in Ajmer is its perfect location. We are very close from both Bus-Stand and Railway Station. Another advantage associated with the location is the close proximity of markets and historical monuments. Hotel Raahat Palace in Ajmer is located near to Dargah of Khwaja Moinuddin Chishty.We offer quick online hotel reservation and on request Airport Pickup Services for our guests. We not only believe in the quality of hospitality services but also give high attention towards the safety and security of our guests. Our highly regarded safety and security policies have given us the name of safe Hotel near Dargah Sharif in Ajmer. If you are looking for a peaceful accommodation at one of the leading and Budget Hotel near Dargah Sharif in Ajmer, then your search ends here." Hotel Raahat Palace Ajmer provide 24-hour Room Service with a wide selection of freshly prepared entrees and specialties for breakfast, lunch, and dinner, including delectable soups, salads, snacks, and desserts. It's All Included. Anytime you want it. "Hotel Raahat Palace: A Best Hotel in Ajmer"
For your comfort and convenience, Hotel Raahat Place Ajmer also provides laundry and ironing services every day of the week. We also offer a popular travel concept. With this flexible laundry service you can leave your dirty laundry with us. 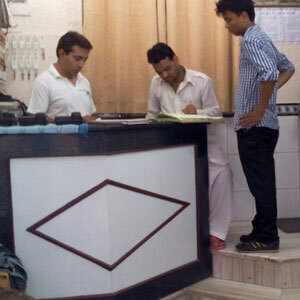 "A Budget Hotel in Ajmer"
Waiter are the people who serves and treat our costomer in well mannered way. 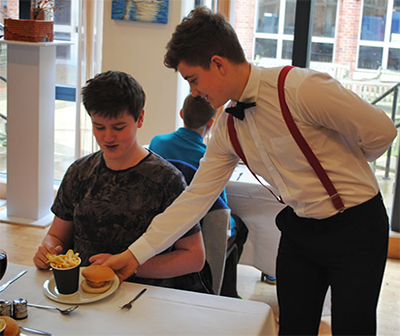 We have well trained waiter staff with good communication skills to serve in brilliant way to our costomer. Our all costomer are satisfied with our waiter's service facilities. 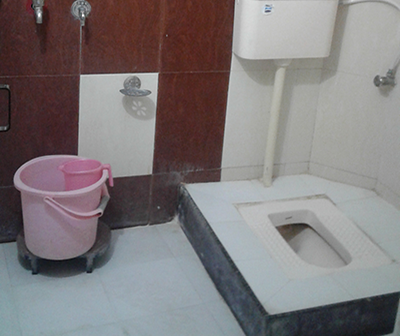 "Hotel Raahat Palace: A Economy Hotel in Ajmer"
Uninterrupted hot and cold water supply is one of the features that ensure utmost satisfaction to our clients. Washroom is an important aspect while staying at a hotel and we strive to avail best washroom facilities to our clients. "Hotel Raahat Palace is Luxury Hotel in Ajmer"
© 2015, All rights reserved, Hotel Raahat Palace Ajmer.